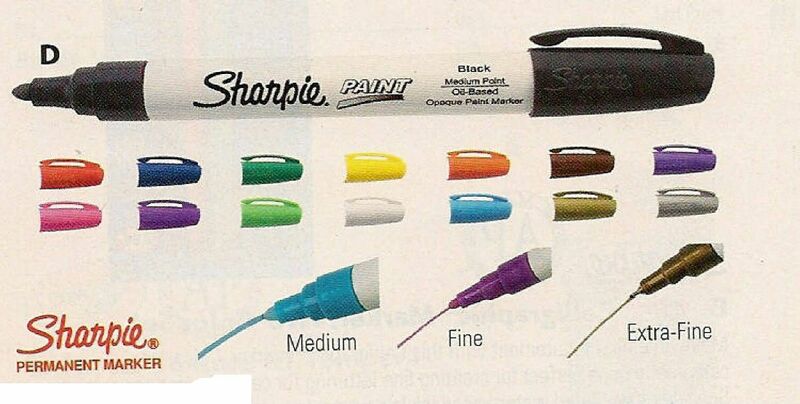 Sharpie® Paint Marker gives just about anything a personal touch. Oil-based opaque paint markers for marking on light or dark surfaces. For metal, pottery, wood, rubber, glass, plastic, stone and more. Quick drying, water-resistant ink. Nontoxic and Xylene free.